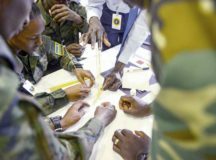 KIGALI, Rwanda — The African Partnership Flight Rwanda concluded with a closing ceremony in Kigali, Rwanda, March 8. 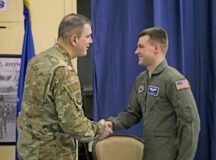 The 435th Contingency Response Group hosted a training symposium for the 20th anniversary of the creation of Air Force Contingency Response, March 5 to 8, on Ramstein Air Base. 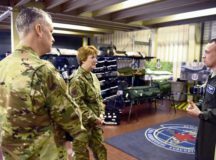 The 23rd U.S. Air Force Surgeon General visited Ramstein, March 4 to 5, to tour the 86th Airlift Wing’s medical units. Anyone who has binged on a favorite show knows that three hours can fly by in the blink of an eye. 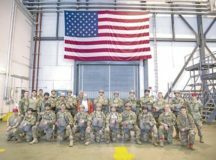 For U.S. Air Force Senior Airman Larry Nice, 86th Aeromedical Evacuation Squadron aeromedical evacuation technician, three hours was all he had to prepare a C-17 to pick up two wounded U.S. Soldiers.